Ask the Readers Archives | How Do You Do It? Who else has Spring Fever??? So many people have been slammed with snow, us included, that I’m getting slightly tired of it…and it’s only February! Colorado had a rare 70 degree day yesterday and it got me thinking about our travel plans this Spring. My family lives here in Colorado close to us. Special K’s family lives in Kansas. Google Maps says it takes 5.5 hours door to door. We have four kids…we know this isn’t true…for us. Start them early.We began doing this trip when each child was about a month old. It wasn’t always easy, but it was worth it because now they are used to being in the car for long periods of time. You may be thinking, “thanks jerk, my kid is four, this tip is worthless.” Sorry! Read on, I have more up my sleeve. Plan ahead. Before we go on any trip that is longer than an hour, we plan for potty breaks and possible leg stretching breaks. We will alter our route to ensure that there are ample opportunities to walk and pee if necessary. If no one needs the break, we just cruise on by. We also pack snacks, diapers and extra clothes. These may seem like “duh” moments, but a few weeks ago we had a trip to the aquarium, which is just over an hour from our home. I packed snacks just in case, thinking we wouldn’t need them…but there was a HUGE car accident that left us sitting on the highway for about 45 minutes. If I hadn’t packed those snacks, there would have been an uprising! 3 of my kids are in diapers, so this seems like a silly thing to add to the list, but again, I always plan for more than I could possibly need, because I am terrified of running out. If it’s a day trip, I still bring at least one change of clothes because spills happen and diaper leaks happen and no one wants to sit in wet clothes! Leave right before nap time or bed.The bedtime one might be hard on the grownups if you’re cool like me and go to bed by 10, but it is soooo nice to have a quiet trip the whole way! 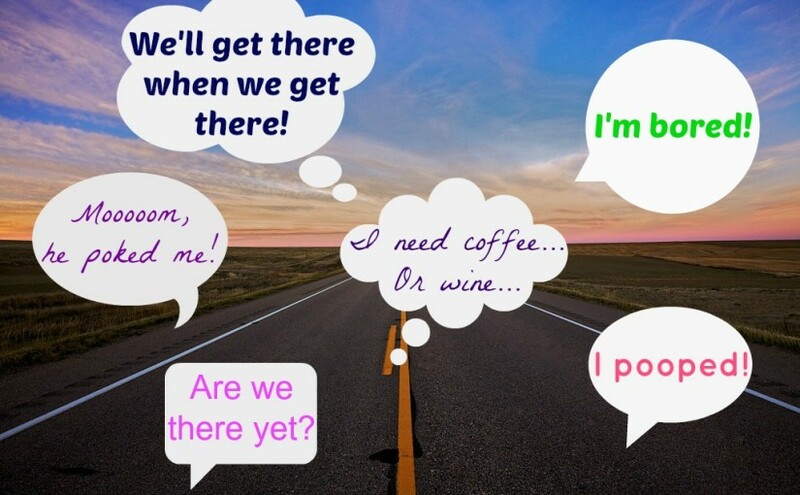 Typically, we leave right before or right after lunch…that way, there is some activity in the car as a distraction (food), and then the littles have their nap afterwards. This can buy us anywhere from 90 minutes to 3 hours of silence. Pack comfort items.This is critical, especially on our long road trips to Gramma and Papas house. H still uses a binky, but we are strict that she only gets it for nap and bed time. The one exception to this rule is long road trips. It’s her way of soothing herself and if it keeps her happy, then we all are happy! M likes her monkey and her blanky…she gets those too. Whatever it is, even if you don’t pull it out unless you are desperate, bring it. 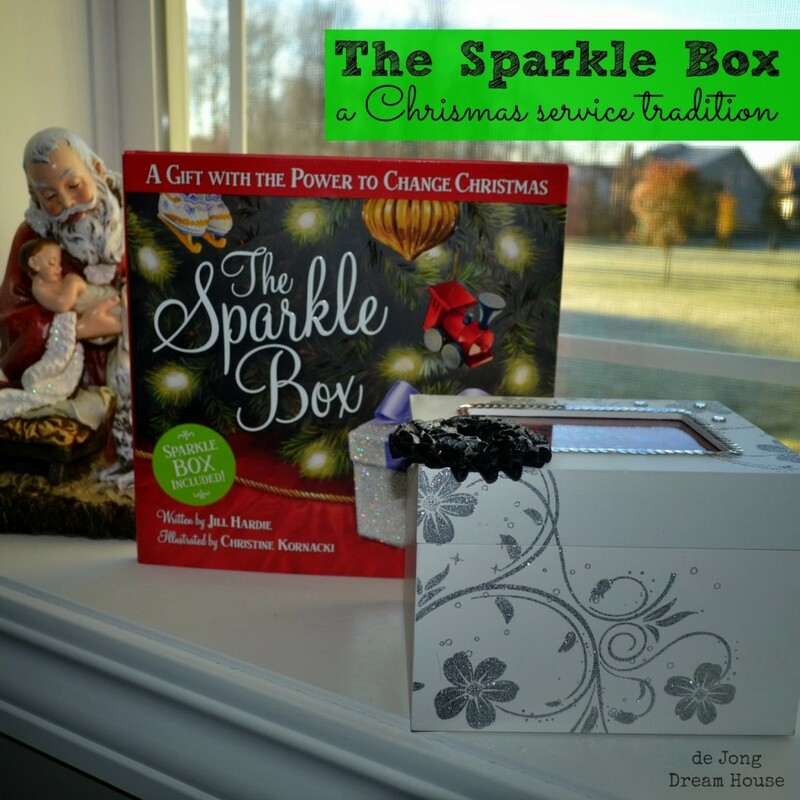 It is way better to have it and not need it then to need it and not have it (I’m talking one item per kid…don’t use this logic for the whole toy box!). Pack activities.My oldest is seven, so she can have things like a book or coloring pages. Sweet Pea also enjoys a folder of coloring pages. 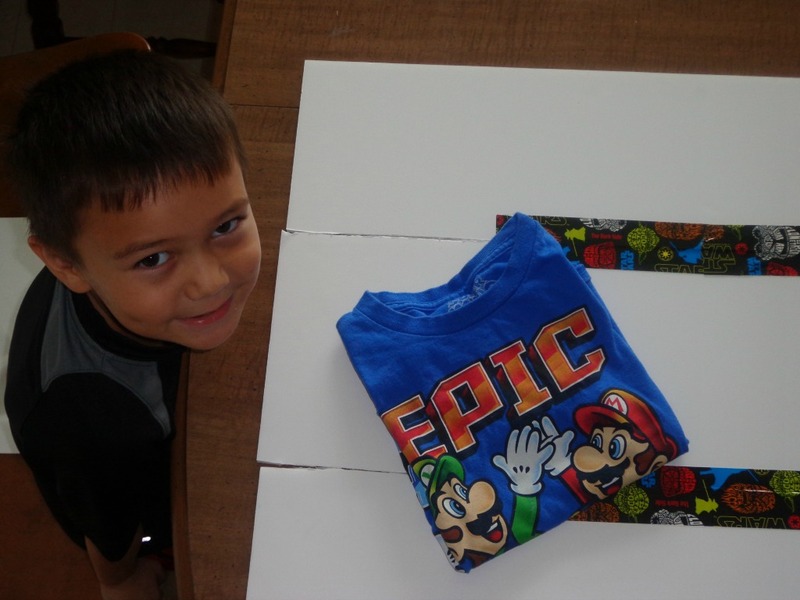 For this I simply print up free coloring pages that I find online, hole punch them and put them in a 3-ring binder. Each child also gets their own pencil box with crayons/washable markers. I get some of the free coloring pages from PBS Kids and others from my favorite mom bloggers. Do a little looking on Google and you can find a whole lot of free goodies! As for the Twinkies, I simply pack some toys that they haven’t seen or played with in a while. Electronics. I know, I know…they are young and electronics are so pervasive, but seriously, it is a seven. hour. car. ride. We have a Kindle Fire, kids version, that has an account for M&M and Sweet Pea, as well as a dual monitor DVD player that the Twinkies use to watch shows and movies. The kids only get such electronics in the car for our long haul trips, which keeps them special…and highly effective. Now for the fun part. We just booked a trip to visit my Grammy in Florida this May. YAY! Here’s the kicker…we’re flying. The Twinkies are 2, so they need their own tickets now. Okay okay, even if they weren’t two, I would buy them their own seats because who wants to have a wiggly kid on their lap for 6 hours? Not me! Only M&M has been on a plane…my three littles are total newbies. So what did I do? I read about 3715 blog posts on how to travel with toddlers on airplanes, but none of them really addressed the issue of multiples. Three of my children are under the age of four, and all of them are in diapers. I know that this will be challenging. Thankfully, some of my above tips can be modified for the airplane, but I’m still wondering how to manage this? We have two flights with a nearly 2 hour layover in between (the gates are really close together and they are with the same airline, so we didn’t feel the need to factor in more time there). We are bringing the car seats with us so no need to worry about renting them in Florida. We will be bringing above mentioned coloring kits, Kindle Fires (we have two) and our laptops. That brings us to one coloring kit and electronic device per child. I am planning on packing lots of little snacks that they will have to spend time opening (like presents! ), and am considering giving them things like mini M&M’s that they don’t normally get. 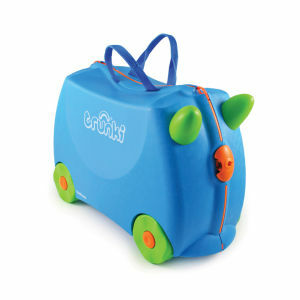 We are also seriously considering purchasing a Trunki for each child. Have you ever seen such a thing? Have you ever heard of these? There are loads of rave reviews on them, and according to the website, they can handle all four of my children. Well, not at once. But one at a time! The kids can sit on them while we wait in various lines at the airport, and there is a “leash” attachment where we could drag them behind us…or they could drag each other. If you’ve used these, could you please let me know what you think? We might buy just one and see what we think, before committing to three more. What tips do you have for travelling with multiples? With toddlers? Do you have any advice specific to airplane travel? Could there be anything more mundane or boring than the cutting of nails? 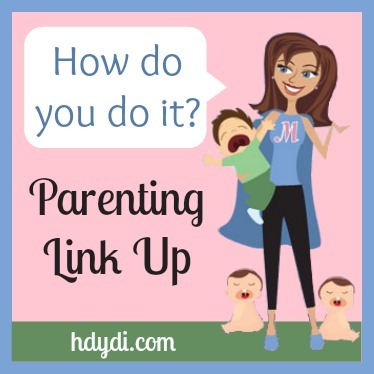 Diapers and feeding are topics that put us parents in our element, but nails? This is a subject that never comes up. This is also happens to be an area that I still don’t feel like I’ve mastered 7+ years into this mommy gig. When my daughters, M and J, were newborns, their nails grew so fast that I could almost see them lengthening during our long breastfeeding sessions. I clipped those 40 tiny nails every day. Only once did I hurt a baby cutting nails, and I cried longer than she did. I caught M’s big toenail a little too close to the quick. I still cringe to think of it. My father-in-law suggested to me that I just bite the girls nails off when they were infants. Thanks, but … eww! Instead, I used the gift my always wonderful boss gave me at our baby shower at work. I think it was Parents brand, but the Safety 1st one the picture is a decent stand-in. I’d just grab those teeny tiny fragile hands and feet in my big clumsy hand, slide the bottom blade between skin and nail, wince, and squeeze. Times 40. Every day. Now that they’re 7, we can get away with tending to J and M’s nails every week or so. I no longer use the baby clippers, only because they got lost in the move to El Paso two years ago. The fingernail cutting is pretty unremarkable. I ask the child in question to please sit still, I grab her hand and try to steady the finger, I remind her to sit still, I remind her that the clippers are sharp and I really need her to sit still, I give up on her sitting still, and I aim and squeeze. I trim whatever’s left and move onto the next finger. Once we’re done with the fingers, things get difficult. My toenails grow straight out, so they’re easy to trim. The girls inherited their father’s curved nails. He pointed out to me when they were a couple of months old that they would, like him, be prone to ingrown nails, something I never contended with. I’m glad to report that it has yet to come to that. I tried to reason with her and finally offered an alternative. “You’re a big girl. How about you clip your own toes?” Why hadn’t I considered that before? She agreed to try. She still cried, curled and twitched, but at least she wasn’t trying to buy her way out by offering to fold the next decade worth of laundry. One snip in, she decided she couldn’t do it. So I did what I always end up doing. I clamped down on her foot with an iron grip, did my best to not hear the screaming, and clipped as fast as I could without drawing blood. When we were done, my tear-soaked M had an idea. “Maybe you should just do this when I’m asleep, Mommy.” The child sleeps in a lofted bed 5 feet off the ground. We’ve tried nail files. M hates them worse than the clipper because they take longer and contact more of her skin. We’ve tried nail scissors. You’d think I’d suggested a light afternoon of waterboarding. I’ve tried surprise attacks, planned sessions, ice cream bribery, movie watching, snuggles, board games. It’s not getting any better. Help me out, people. Surely M’s not the only one with this level of fear of having her nails clipped. How do I make the cutting of nails, especially M’s toes, less torturous for everyone? We have dogs for miles around who being deafened by the shrieks. Recently I started Toddler in swim lessons. She’s three now, and while we don’t have a pool ourselves, my in-laws and my brother both do, so I thought it was time to learn some water safety. I didn’t know how it would go, particularly because she kind of, sort of, isn’t a fan of water on her face. And by that I mean screaming bloody murder if she’s anywhere near a spraying showerhead. The lessons are also very costly. About a dollar a minute. But what the heck, it’s a heated indoor pool with teachers who are great at what they do. If a few lessons gets her to not be afraid of the water, I figured it was worth it. And I’m very happy to say that… it’s been a blast! She’s been making steady progress with every lesson. We went from not wanting to put any part of her head in the water at all, to being able to dip her entire head under and pop back up. After only 3 lessons. So, full steam ahead. Hopefully she’ll be able to swim by the time she’s done with our 8 lesson package. I had no idea that I could be so proud of her overcoming her fears. I feel a little silly cheering for her by the side of the pool when she does a back float, but really that emotion just cannot be contained. And I realized that I really, really want my other kids to be a part of this too. The twins are 7 months old, too young to participate in these sorts of activities, I thought. But I saw a set of 8 month old twin brothers in the Parent and Me class. And the instructors tell me they take babies as young as 3 months. While I haven’t seen any that young, it’s definitely true that that the babies are the ones who take to the water with no fear. While the 2 year olds are crying and refusing to try stuff, the babies are just happy as can be, kicking the water like they’re in a comfy bath. So that brings me to the real reason for this post. If I had only one baby I wouldn’t hesitate to enroll in another class. How great would it be to have the peace of mind of knowing your baby would know what to do in an accidental fall-in? But mostly because it would be fun, something all the kids could experience together, and a nice way to spend the summer. I could schedule back-to-back lessons for Toddler and baby, so baby and I could cheer for Toddler during her class, and Toddler can watch or play in the kiddie pool while I’m in the water with baby. However, I don’t only have one baby. The process would be much more difficult with two. I would either have to take them one at a time, or get another person to come with us. Neither option is really all that feasible, requiring the coordination of lots of schedules/people, and they don’t account for my third child. Unless Husband is really enthusiastic about doing a family lesson on the weekend with all 3 kids (and even that would be a little tough), I’m going to take a pass for the babies this summer. Which is too bad, because I already bought an adorable tiny swimsuit and swim trunks for them. And I think, will all activities in the future be like this? Mommy and Me classes where we’re the Mommy-and-Me-and-Me? At some point I know they won’t need me as much and joining activities will get much easier, but until then, are we relegated to not attending? What activities, if any, are conducive to a 2 to 1 ratio? 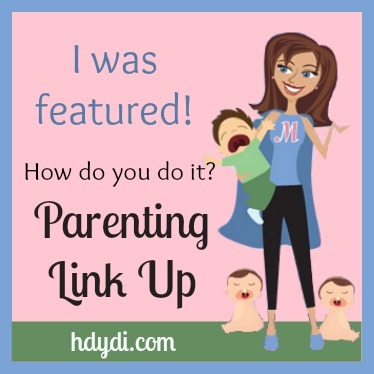 Welcome to a new feature on HDYDI – Twinfant Tuesdays! 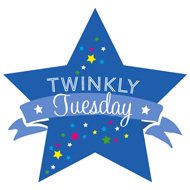 Every Tuesday, we’ll have posts devoted to the first year of life with multiples. Let’s kick things off with a post about naps. Rather, let’s complain, lament, weep hysterically over naps. This is my biggest How The %#@! Do You Do It moment with twins. Tandem feeding? Check. Double baby wearing? Piece of cake. Chasing two crawlers around the park? Got it covered. Putting them both down for a nap? Get out the rosary and pop open the Valium. What purer form of torture is there than trying to put people to sleep when you are exhausted yourself? My sweet children have been perfecting this psychological weapon for nine months. At first, I tried that whole eat, play, sleep thing. If it works for you, awesome. It did NOT work for me. I spent about 3 months failing at that before giving it up. My boys never liked the swing. Only one would take a pacifier. I swaddled them, rocked them, fed them, whatever it took. Usually I’d end up getting M down with a swaddle and pacifier, then have to bounce R on the yoga ball or nurse him, after which point I couldn’t put him down. Obviously, as soon as R fell asleep in my arms, M would wake up. All this accompanied by lots and lots of crying – from all three of us. No amount of baby juggling would consistently coordinate their sleep. Things got dire. I had two options: let them sleep on the double nursing pillow after breastfeeding (sometimes they liked to stay attached for the. whole. nap. ), or walk them around in the stroller. They would still cry in the stroller, but not for as long. However, a motorcycle or gust of wind was sure to wake them up after 30-40 minutes. Whenever they were asleep, I was a prisoner – no going to the bathroom, let alone time for myself. We did that for a few months. Then we sleep trained at night, and I was finally able to just nurse them down for naps. We had a big floor bed (large mattress right on the floor). I would sit in the middle with the double nursing pillow, load them on, feed them, and lay them down on the bed when they were done. Then I’d creep away and hope they didn’t roll onto each other. That worked for a while. Then they got mobile and the shenanigans started big time – romping around the room, crawling over each other, coming over to the door and crying. One would perk up just as the other was finishing eating and curiously poke at his brother’s eyes. Tandem nursing was becoming impossible. Instant sleep! Move carefully into cribs and creep away. Throw silent parade in my own honor. One sleeper, one scamperer. Protect sleeper who is finishing bottle from brother who is trying to climb on his head. Put sleeper in crib, gather scamperer and give him the rest of his bottle. Put him down once he’s done. Reward self with five minutes of facebook, after which the first sleeper wakes up. Two insanely awake children who faked me out completely by showing every tired sign known to man just minutes before. Breathe deeply while the boys crawl over me, laugh, throw their bottles, and otherwise put on a baby circus. Place both in cribs and leave to a chorus of hysterical crying. Pour giant glass of wine and blog to distract self from flood of CPS calls that are surely being made from other units in my building. Wonder if it’s actually possible to drown in shame. M usually falls asleep. If R falls asleep and M is crying, I can go in and easily soothe him. If R doesn’t fall asleep within 15 minutes, forget about his nap for today. I could kill those people who say, “Maybe he just isn’t tired?” Babies need sleep. Fussy, ear-pulling, yawning, lethargic babies are ready for sleep. I do my absolute best to hit that magic window of tired but not overtired, but some days that window is only 5 minutes wide and despite all my efforts, I miss it. And I pay for it all day. The root problem has been the same for nine months: they need two different kinds of individual attention, and they need it at the exact same time. M needs lots of cuddles and a little independence to go to sleep. R needs to be soothed to the brink of drowsiness, then quickly released into his crib at the exact right moment. And they have very different sleep needs – R sleeps less and has a harder time falling asleep. He would prefer to have me near him. I have to disappear quickly when I put him down, or hold him for the entire nap. M sleeps much more and enjoys lots of cuddles as he gets sleepy. I can rock him to sleep in two minutes and he will rest peacefully for 1.5-2 hours. But if I stay in the room, he gets amped up and will cry. You can see how these styles don’t exactly mesh together. The truth is, I need the small freedom nap time gives me. NEED. IT. I have to do chores, like cleaning and preparing meals, that I can’t do when they are awake. And more importantly, I need a break from the constant vigilance and interaction that is child care (more so because they are not sleeping through the night yet). If I don’t get it, I become angry, annoyed, impatient, checked out. Not the mom I want to be, certainly not the mom my kids deserve. My husband, a teacher, is off for the summer and helping A LOT by putting one baby down while I do the other. It’s awesome. And terrifying. How am I going to continue to give them the individual attention they need when I am back by myself in the fall? I feel that a new evolution is heading our way with naps. Increasingly, the boys are showing their thoughts and wills through action. R will point to the bedroom when he’s tired. Today they crawled over to their own bottles and started in before I had changed their diapers. Ideally, I want to shift the responsibility of their sleep from me and onto them. Instead of “putting” them to sleep, I want to set up the environment for sleep (proper timing, white noise, sleep sacks, dark room, bottles, etc) and and let them do the actual falling asleep part. In my perfect dream, I do a sweet little nap routine and place them in their cribs wide awake; they settle quickly and fall asleep. But I waver. It is really hard to commit to a new level of responsibility for your kids, and be consistent about it. Can I stand to hear them cry sometimes when I know I could soothe them (at least one of them)? Can I stand to keep being a slave to their sleep, even though it makes me angry and resentful? Is this a time for me to reach a new level of resolve or a new level of compassion and patience? How do you put your twins down for a nap? Moreover, how did you come to terms with the shortfalls of your method? I keep assuming that my experiences this pregnancy will be similar to the ones I had in my singleton pregnancies. I have been wrong over and over again. My first Ob appointment was no exception… totally different. I literally didn’t know how to respond. So I didn’t. With each of my births I have used less and less intervention. W’s had the works: pitocin, epidural, the Dr. broke my water, and constant monitoring. G’s had a little less. O’s was intervention free: My water broke at home, no pain meds, no IV, and intermittent monitoring. I am proud of and happy with all of my births. They each resulted in a healthy baby. One of my friends asked me recently why I prefer natural birth. I explained to her that she competed in triathlons and I had babies. I love the challenge of getting through the pain and watching what my body can do. I am seriously weird in that I look forward to labor. When I found out I was pregnant this time my husband and I decided that we’d like to use a midwife and deliver at a free standing birth center. He’s an ob/gyn so this decision didn’t come easily for us. We talked and talked and read and read. We felt confident in our decision. Then we found out it was twins and our plans changed. We agreed that we both felt safer having the babies at a hospital. We felt better knowing that if something did happen we’d have experts on hand to help and we wouldn’t have to waste time getting to a hospital. So here’s my dilemma: How much intervention is needed in order to be responsible? I had already happily come to terms with delivering in a hospital. I’d also decided that I could deal with having to labor and deliver in the O.R., but is having an epidural really necessary? Also, why is my Dr assuming I’ll have to have a C section? And telling me he’ll “just put me under”? is he being flippant? All I want is the CHANCE to have these babies vaginally without an epidural. Is that being irresponsible? I’ve had one more visit with Dr. Doom (my new name for him) since the awful first one. I didn’t have the nerve to bring up our discussion. I didn’t ask any questions and realized I was smiling and shaking my head a lot. If you asked him I’m sure he’d say the visit went fine. I left the appointment feeling like I either need to find a new Dr. or have a very open conversation with him. Neither of those options sound particularly fun. Per my usual I have launched into research mode. I’ve questioned other twin moms about their experiences, I’ve read all I can find on birthing multiples, and I have talked with my husband and a midwife friend about their approaches to delivering twins. I’ve learned a lot and in the end I think I’ve realized that I still need to know more. So much of this decision to birth vaginally or by C section and with what interventions is dependent on my babies. Right now my plan is to become comfortable with not knowing how I will give birth to these babies. This is very hard for my type A uber organized self. I still want the chance to deliver naturally, but I won’t dig my heels in and refuse other options. I think being open is the only responsible choice. Talk to me about your birth experiences. Anyone deliver their babies naturally? How much intervention did you find was truly necessary? Would you change anything about your birth? Elizabeth lives in Central Texas with her husband and 3 sons. She is 13 weeks pregnant with twins. Can Moms of Multiples Have It All?!? Something I have considered from seemingly every angle before getting pregnant was whether or not I’d want to return to work after having kids. I forwarded Anne-Marie Slaughter’s article “Why Women Still Can’t Have It All” (The Atlantic) to my working mom friends, or friends of child-bearing age, followed the Yahoo CEO story closely and am looking forward to reading Lean In when time allows. Love these discussions, whether I’m talking to a SAHM or a single woman who never sees themselves having kids. Now that I’m pregnant, it feels like I’m admitting to a crime when I say that, while I can discuss my opinions about maternity leave pay in our country, or gender-specific expectations around child-rearing, etc, etc, the deep down truth is that I always wanted to work after kids (and still want to return). 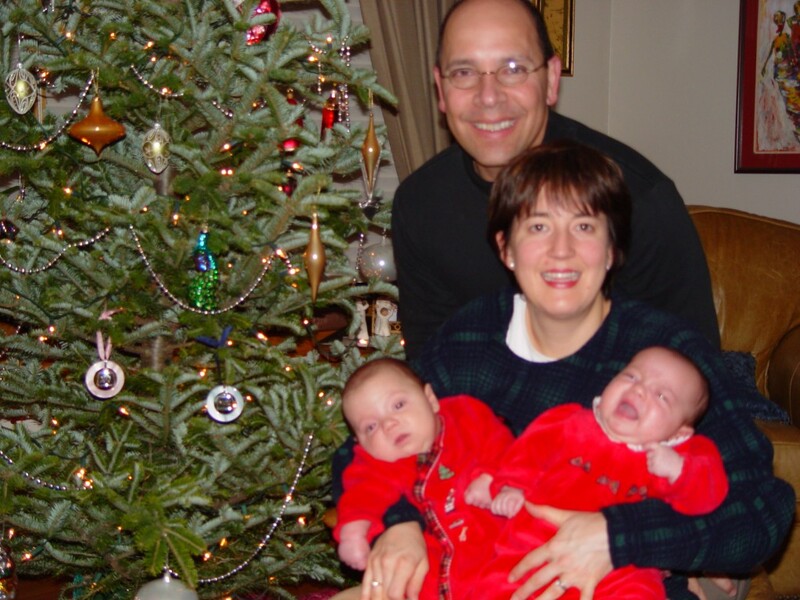 Of course, an angle I didn’t quite consider is that I might have twins, and have the daycare costs for twin infants, the emotional impact of leaving behind TWO infants and perhaps double the sleep deprivation to contend with in the early days back at my desk. When we started trying to have kids, I was in a very stressful, unhealthy work environment, and it only took about six unsuccessful months of trying for me to question whether my stress level was impacting my fertility. I started looking for jobs elsewhere, took a pay cut and began my work in an area in which I was less passionate, but allowed me to get out to the increasingly frequent reproductive endocrinologist’s appointments and take more time for myself. I felt guilty taking a new job, knowing that we were actively trying to get pregnant, and decided to tell my boss about our fertility treatments early on. I do recall her giving her support, as long as I was planning on returning to work. (Of course, this was probably unnecessary, as it still took another 8 months to get pregnant.) While I occasionally miss some of the more passion-driven days at my old job, I definitely have settled into a new role where I can do things like (ahem!) write blog posts in my down time and relish waking up a little later and still having time to do yoga before work. Upon finding out I was expecting two babies, some questions started popping into my head: If this doubles the cost of daycare, is it worth it to still work? If we break even with my salary and day care, is it STILL worth it? I don’t know any moms of twins in my life who returned 5 days per week (well, ones without ample help). Am I crazy for considering this? Will weekends and minimal time at night during the week feel like enough time with my little ones? I have always worked two jobs. Like, for the last 14 years. (Don’t worry-I only have three weeks left of job number two, and will only be returning to one after the babies arrive.) While I absolutely strive to maintain other parts of my identity (artist, aspiring chef, yoga enthusiast, world traveler, wife in a healthy marriage) other than employee, I am not going to lie: I enjoy working full-time, being needed in a work place, and possibly most importantly, feeling part of a community, both in the sense of working people in the world, and also in my small non-profit. I decided to commit to returning full-time, taking comfort in the fact that I now have a VERY short commute, have found a nanny who is amazing, and have a very laid-back work environment. 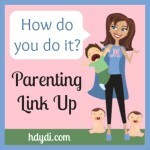 I realize there are previous HDYDI blog posts on working moms. I’d love to hear from working moms, especially those in leadership roles, who have thoughts about returning to work after 12 weeks off.